Have you ever cooked with bulgur? I bought it on a whim recently while strolling through the grocery store. It caught my eye because I’ve never cooked with it (let alone even tasted it) so I was excited and curious to try it out. Upon doing a little research, I found that bulgur is a cereal food made from many different wheat species, and can be used to substitute rice or couscous. 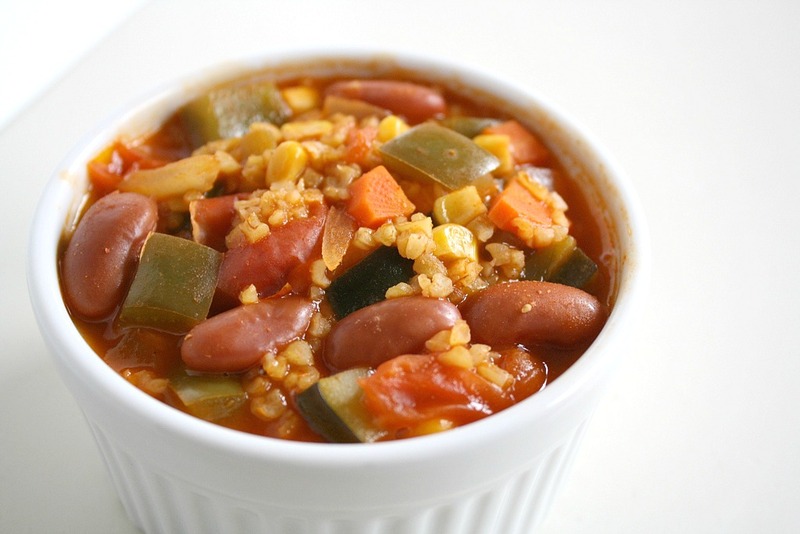 I went looking for recipe ideas and found a vegan chili from Naturally Ella. I used that as a guideline and couldn’t resist tossing in a few more veggies. It’s worth noting that I bought quick-cooking bulgur, cutting the cooking time way down (about 10-15 minutes instead of 45). If you have regular bulgur, you’ll need to let it simmer longer. I found it to be a wonderful substitute for the meat you’d find in traditional chili – it really thickened it up and made it hearty. Hope you enjoy too! Prep veggies: dice onion, bell pepper, carrot, zucchini, mince garlic, and halve tomatoes. In a stockpot over medium-high heat, sauté onion, bell pepper, carrot, zucchini, and garlic for about 7-8 minutes. Add corn, tomatoes, and spices. Sauté another 3 minutes. It will become very thick as the bulgur absorbs the liquid, and even more after sitting a bit. Add more broth/water to thin it out if desired. Very hearty and flavorful! Hope you get a chance to try it! Yum! I haven't seen quick-cooking bulgur before, but I'm definitely going to look for it at TJ's next time I go. I love bulgur! I actually prefer the coarse kind but still have some of the fine grain stuff I need to use up. It is a neat way to get that ground meat texture in chili. 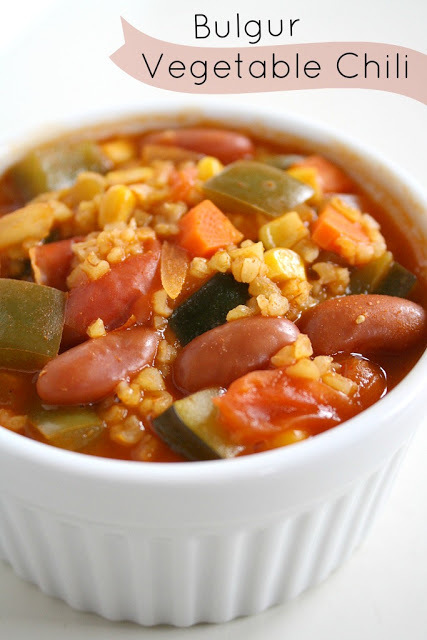 Bulgur is one of my favorite grains–it's so hearty and I just feel good when I eat it. 🙂 It's definitely chili weather here, so I'm going to have to put this on my make soon list! Hope you enjoy it Kiersten!! 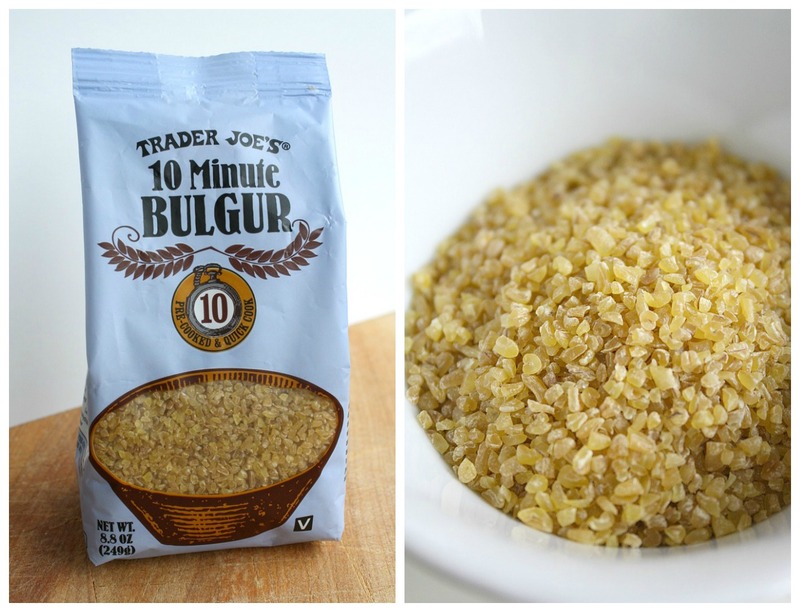 I can't believe it took me this long to try bulgur – SO good! 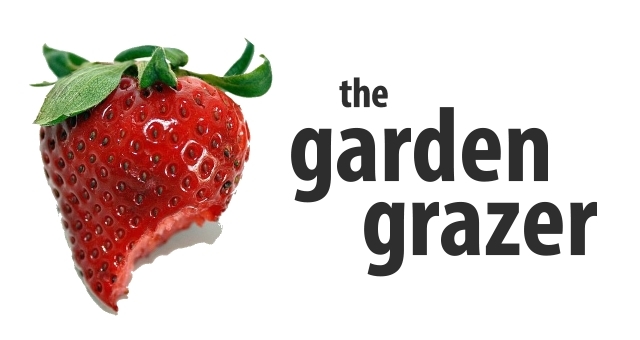 This was absolutely delicious, the kids & I all loved it – thank-you for sharing! Wonderful! So great to hear you all enjoyed it. Thanks for letting me know! I made this last night & it was a huge hit. Thank you so much. I had never even noticed the cute little bags of quick cook bulgur, barley and farro at TJ's before you mentioned it! Great find. I will def. be making this chili again! That's awesome, glad you found a keeper recipe! TJ's always has so many great finds it's nearly impossible to find them all 🙂 I'm so in love with that store. Thanks for coming back to let me know you liked the chili! Found your site through Pinterest! What on earth were we doing with our lives before Pinterest?! Haha! So happy to have discovered your blog today (also via Pinterest I believe). I presume this particular recipe would probably freeze well? Thanks for that! Just eating my dinner!